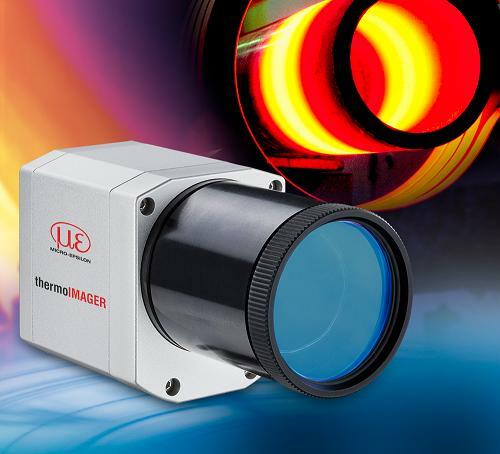 Micro-Epsilon’s thermoIMAGER TIM M1 thermal imager for temperature measurement of metals is now available with an integrated notch filter, which prevents damage to the detector when the camera is exposed to lasers used in welding processes. This means the thermal imager can now be used in a range of laser processing applications such as laser welding, laser additive machining and brazing. Due to its short-wave spectral range of 1µm, the TIM M1 is ideal for temperature measurement applications in metal processing, including the temperature monitoring of metal hardening and forming processes. In the range 0.92µm to 1.1µm, metals are subject to a significantly higher emissivity than in other wavelength ranges.